Thanks for visiting the hummingbird identification guide. The pictures presented here describe a representative sample of native hummingbird species. 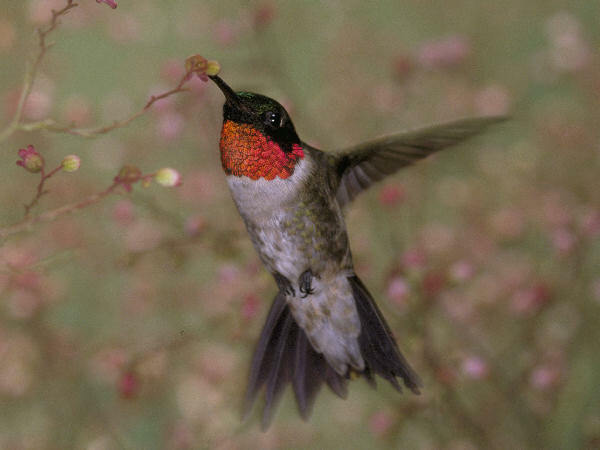 The button for hummingbird flowers provides additional information for attracting hummingirds to the garden. Anyone looking for additional bird identification information can press the bird button. No doubt about it. The types of hummingbirds seen in the United States is totally geography dependent. For example, the Ruby-throated Hummingbird pictured, is the only breeding hummingbird in Eastern North America. Hummingbird diversity reaches its peak in Western North American. 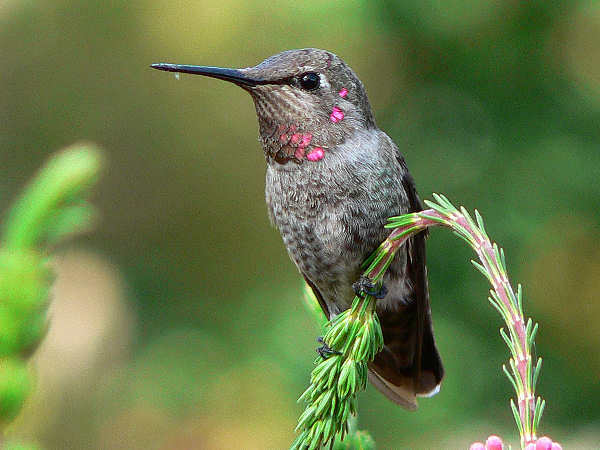 Hands down, the Southwest ranks as America’s hummingbird capital. The Arizona Bird Committee, lists eighteen different species that have been documented in the state. Eleven of them are native breeding birds. 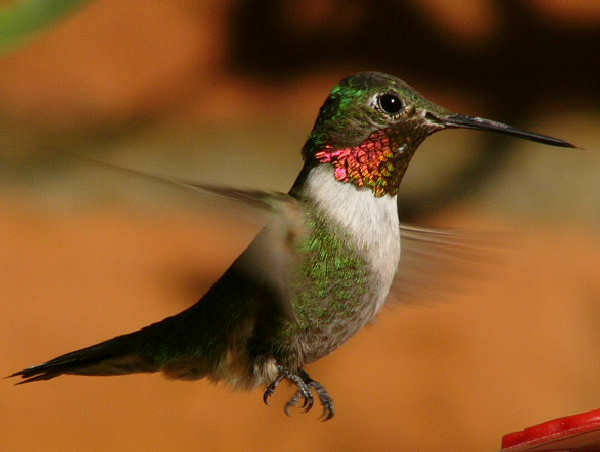 That makes Arizona the top hummingbird state in the United States. Despite their predominantly migratory behavior, a few hummingbird species remain in the United States throughout the winter. Easterners don’t totally miss out on the joy of hummingbirds. Many hummingbird species migrate to the area for a few months of the year, typically winter, and hummingbird enthusiasts gleefully mark their arrival. 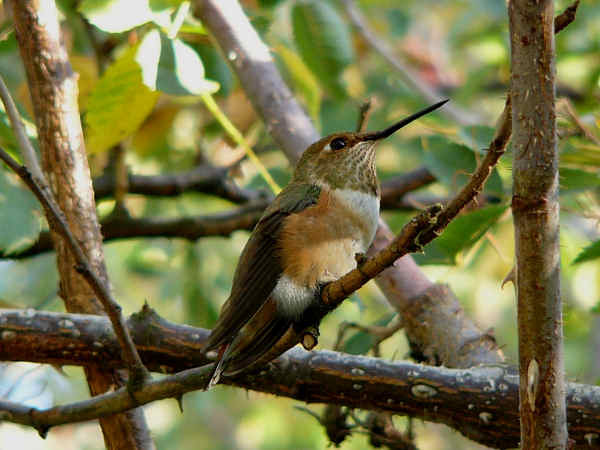 In the Southeast, for example, more instances of over Rufous hummingbirds migrating from the west and over wintering, continue to be recorded and posted on the internet. Black-chinned hummingbirds are another species that commonly show up as far east as Florida. 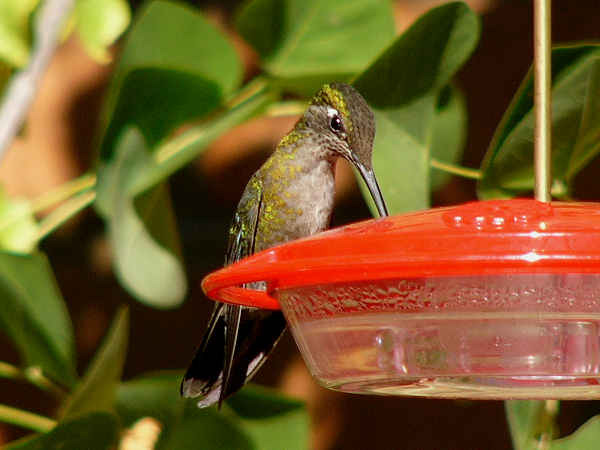 Anna’s hummingbirds are probably the most common of the western species. They breed as far north as Alaska. Some very hardy individuals over winter in Washington state and Oregon. Alan’s Hummingbird, another Southwest species. It’s found mostly in the coastal forests and scrub of Arizona, California. It’s an occasional Oregon visitor. 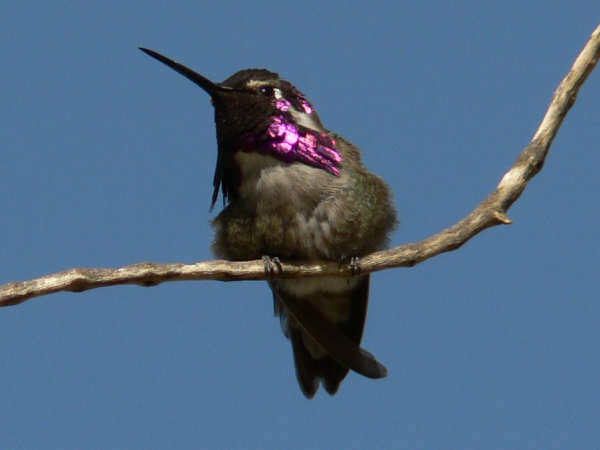 The purple gorget identifies the Costas Hummingbird male. It’s a Southwestern species. There is some summer breeding in the Nevada mountains. 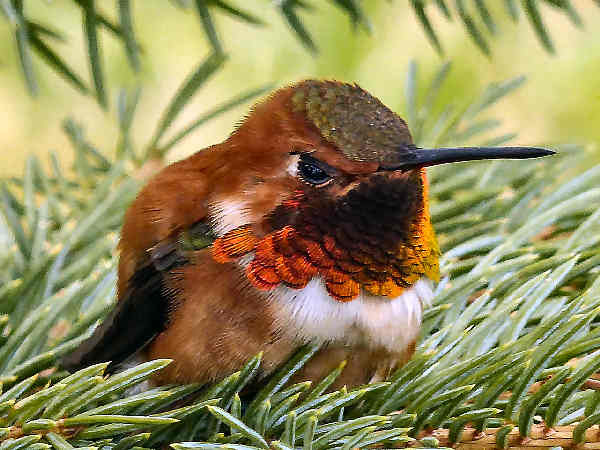 Broad-tailed Hummingbirds breed through most of the Rocky Mountain area during the summer. The red at the bottom of the bill of the male Broadbilled Hummingbird is a great field identification clue. It’s another western species with a range limited to the vary southern areas of New Mexico and Arizona. 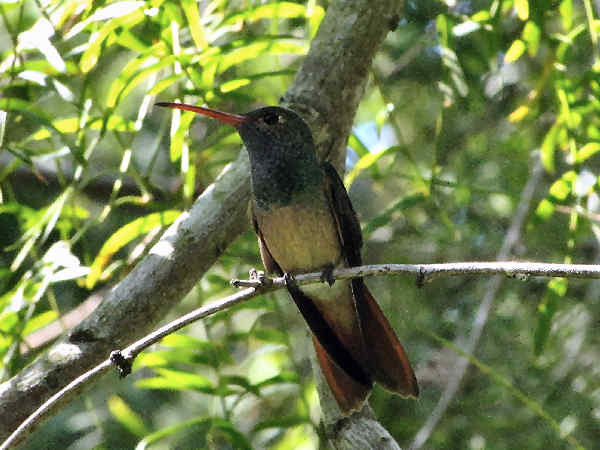 Buffbellied Hummingbird, a tropical species found in south Texas. 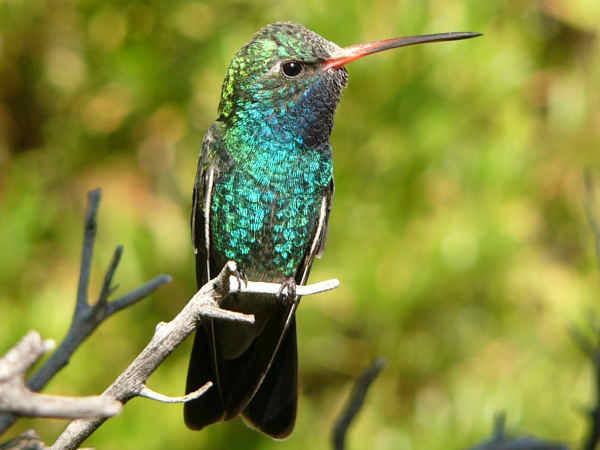 Magnificient Hummingbirds are range bound to the mountains of southern New Mexico and Arizona. It’s an above average sized hummingbird. Males have a striking purple forehead and crown, metallic green gorget and black breast.